1.Describe the governance processes used on a project, that you know of or were a part of, using the governance elements described in the Learning Guide. 2. Project governance and organisational policies will normally include a delegation of authority or specification of authority limits for decision-making, including expenditure limits. What are/were the authority limits for expenditure on a project you know of or were a part of? Provide a list or matrix. 3. Describe the process used by a project team to undertake the work according to the agreed scope management plan and how changes to scope should be managed. Attach a flow chart and describe the steps. 4. What information management and communication methods are commonly used to keep all relevant parties (senior management, clients, stakeholders and colleagues) informed about the project progress? 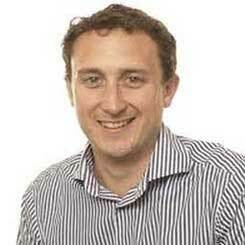 How does a project team ensure that all information is timely, relevant and accurate? 5. Provide an outline of how risks are managed on your project. Your response must address the performance criteria for BSBPMG415A Apply project risk-management techniques; 2.1, 2.2, 2.3, 2.4, 2.5, 2.6 & 2.7. 6. Projects need to be effectively managed and the various project knowledge areas integrated to ensure a coordinated management approach. Outline how the project management was conducted on a project you know of or were a part of. Your response must address the performance criteria for BSBPMG417A Apply project life cycle management processes; 3.1, 3.2, 3.3, 3.4 & 3.5. 7. Provide an outline of how procurement is managed on projects. Your response must address the performance criteria for CPPDSM4047A; 2.1, 2.2, 2.3, 2.4, 3.1, 3.2, 3.3 & 3.4. 1. The governance process actually consists of the directing and controlling of the business operation by the high level authorities of the company with a view to achieve organization goals and objectives. 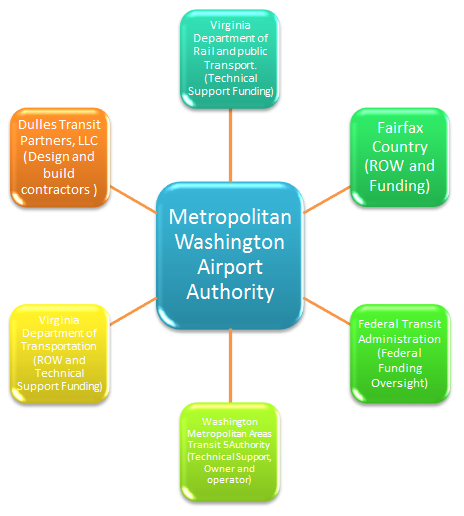 The governance process was observed in the Metropolitan Washington Airport Authority project for developing Dulles Corridor Metrorail Project so as to connect Tysons Corner, Dulles Airport and other vital areas in the region. This way an effort is made to facilitate the local people and tourists to move easily around the area with cost effective modes of transport. The corporate governance elements that was followed in this project processes included the followings. The project of connecting Dulles Corridor Metro rail project with various areas in the region is associated with the most accountable parties in the region including the government agencies and local administration. The effectiveness and efficiency of the project has been identified and recognized in advance so that the project meets the desired outcome and benefits. The rule of law has been considered seriously through which the application of the project has been made legal through all ways and methods. A proper transparency at each level has been followed so that the responsibility of the authority concerned and the budget related estimations can be made easily. The strategic vision was kept as the motive which included facilitating the local and tourists to move in the region in an easier and cost effective method. 2. The delegation of the authority for the Metropolitan Washington Airport Authority project for connecting the Dulles Corridor Rail project for connecting important places includes the followings. All these government agencies and local administration worked together as per their role in the project development process. The delegation of authority therefore can be depicted as below. The cost budget included the followings. 3. The process that the project team undertook to work as per the agreed scope management plan includes the followings. At phase one the identifying project objectives is done so that in the end the outcome is compared with the expected and estimated outcome. Thus the setting of project standards is done and thereof the preparing project plans is initiated. At phase two the project initiation takes place. The project execution is done so that the desired outcome is achieved in the estimated time. Also the project control and review is done at regular intervals. In the third phase the project completes and its output is achieved. Thus at this stage the achieving project benefits and profits is made at this stage. This can be depicted as below. The changes in the scope can be managed as follows. 1. Accessing the outcome at various stages and comparing it with the expected outcome. 2. Enquiring about the extent of the project at different stage. 3. Estimating the cost that has been used for project completion. Addressing the right issues and problems during the project execution process so that the problems can be identified and removed at early stage with a view to meet the target outcome. 4. The information management and communication method that can be used to keep all parties relevant aware of the project progress including senior management, clients, stakeholders and colleagues include the followings. Emailing helps in sending detailed information about the project progress to the relevant parties with written information supporting data so that the in-depth information can be conveyed. Phone calls from the representatives of the company help in communication the relevant information to the required personnel. This way the vocal message from the company employees help in understanding the project progress. Meeting including the AGM or Annual General Meetings and other meetings help in conveying detailed information about the project progress with full data, facts and figures to convey the real and updated information to the related parties. The Short Messaging Service helps the relevant parties to remain in connection with the latest information about the company as it consists of updated information in short and to the point way. The project team can ensure that all the information is timely, relevant and accurately conveyed in the following ways. Various new technological means such as emails, sms and other services are used to keep the relevant parties updated with the project progress. The company management makes regular review of the information before delivery to the relevant parties which helps in conveying the most relevant information to the relevant parties. The guidelines that are being set to communicate the important information to the relevant parties in a safe and secure method is followed. 5. The project risk management techniques used includes the followings steps. The identification of the potential risks that can adds to the problem of the Airport Authority can help in easy recognizing of the factors that could delay the project later on. This way timely steps can be taken to remove the obstacles well before time so that the desired outcome is achieved within the stipulated time frame. The analyzing the risk that may affect the project helps in estimating the level of affect that a particular factor can leave on a project. Thus the analysis of the risks helps in recognizing the ways and means that should be prepared well in advance to remove these obstacles. At this stage the risks that are identified as having most adverse effect on the overall project are prioritized before other risks with a view to bring in changes to fight back them accordingly. This way the prioritizing helps in identifying the most dangerous risks for the project. Creating of an action plan can help in later applying a method that could help in achieving a desired goal and outcome from the project. This way the project completes on time and the cost incurred remains under budget. The action plan also considers various other factors that may affect the project completion such as environment factors, legal factors etc. At this stage the risk is actually transferred with a view tha the total financial loss or delay in project can be minimized by adding another feature or application in the project. The monitoring progress of the project helps in keeping the projects in alignment with the expectations so that the desired outcome is achieved in the end within the cost estimation and time constraints. This way by following the above methods and stages a project can be easily be completed with lesser deviations from the cost and time factors that are actually fixed during the project acceptance and planning process. 6. The project life cycle management process that was followed and finally helped in achieving the desired outcome includes the followings. The project had the following date set for accomplishments. These can be depicted as below. Agreement between Dulles Toll Road and Airport Authority. From the above the project life cycle can be described as follows. Project planning started on 24th October, 2004. Project plans were passed till 14th September, 2007. Project plans were signed by the related authorities by 12th May, 2008 by all the concerned parties. Project development was made initiated till 26th September, 2012. Project certification was achieved till 31st July, 2013. Project completion was achieved till 1st December, 2014. 7. The procurement process was initiated by the Airport Authority. The performance criteria followed for the procurement process includes the following. Observing the required physical abilities in the employees. The ability of the employees to understand the project. Clarifying the project objectives to the employees. Reviewing the abilities of the employees at regular intervals. Analyzing the level and extent of gains expected from the employees. Analyzing the level of outcome achieved by each employee. Appreciating the outperforming employee by giving extra benefits. Giving training to the underperforming employee. This way the above methods were used for procurement. Also the methods used for evaluation of employee performance after procurement has also been discussed.